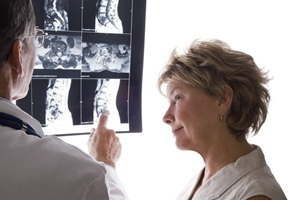 Should You Have a Bone Density Test? Osteoporosis is one of the most prevalent conditions among older people. According to the National Osteoporosis Foundation, one in two women and one in four men over age 50 will have an osteoporosis-induced fracture at some point in their lives. A loss of bone mass becomes more common as we age, causing bones to become more brittle and increasing the risk of a fracture or break. Many fractures that occur are asymptomatic. However, some may cause shooting pain or chronic pain in areas such as the back, where a fracture will only be evident on imaging tests. A bone density test can be a very useful tool for helping to keep your chances of having a fracture to a minimum. There are a few good reasons why you may want to have a bone density test. First, it can tell you if you have osteoporosis or if your bones are weak before you experience a break or fracture; second, it can predict the likelihood of you experiencing a break in the future; and third, it can measure if your bone density is getting better or worse based on any actions you are taking (such as medications or exercise). The bone density test uses a DXA machine (dual energy x-ray absorptiometry) to measure the density of bone in your hip and spine, and occasionally other bones, depending on your particular situation. The density of the hip and spine is measured because these are the bones most likely to break with osteoporosis, and because breaks in these areas are also among the most debilitating. The test is painless and non-invasive and is performed with the patient fully clothed. It takes about 15 minutes and the level of radiation from the machine is minimal. If you feel you fit into any of the at-risk categories above, it may be beneficial for you to have a bone density test done so you and your health provider can develop strategies to reduce your chances of breaking or fracturing a bone.